One of the best ways to maintain your motivation as a beginning and improving guitarist is to learn some fun, simple songs that show your progress and help you keep improving. If you have a basic knowledge of major, minor, and seventh chords in the first position, a good feel for rhythm, and a good ear for music, you are ready to roll! 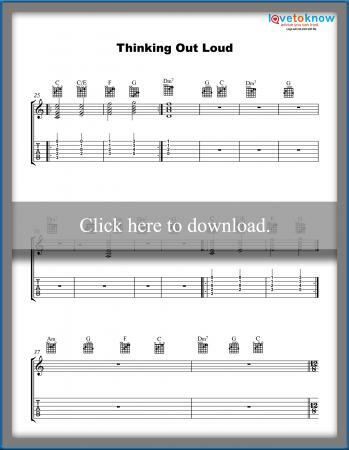 Download the printable charts below. If you need help, consult this Guide for Adobe Printables. 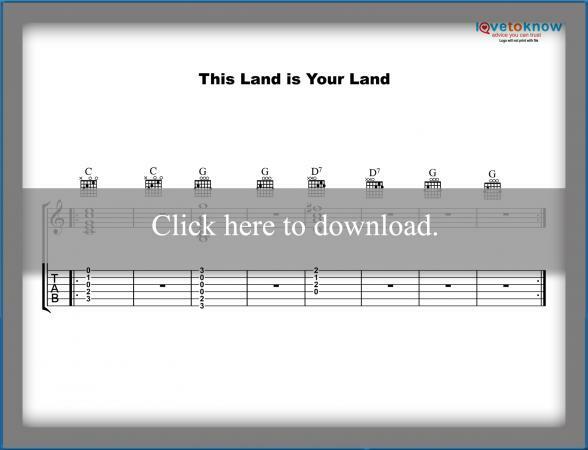 An iconic American anthem, This Land Is Your Land is a terrific, fun and simple place to start. The song is based on a simple folk chord progression using open C, G, and D7 chords in the first position. Strum the chords using quarter notes on every beat or use a simple bass-strum pattern where you hit the lowest note of the chord on the first beat then strum the chord, or mix it up and vary the rhythm. The song is based on an eight bar progression that repeats, with a simple variation on the melody the second time through. Johnson's ode to the windy city is a classic 12 bar blues. Sweet Home Chicago has been performed and recorded by blues greats including B.B. King, Stevie Ray Vaughn, the Blues Brothers, and Eric Clapton to name a few. The basic blues chord progression is essential reading for the beginner guitarist as it is the centerpiece for countless blues, folk, jazz, rock, and pop songs. Try playing this song with different rhythms, such as straight quarter notes accenting the second and fourth beats, or long-short pairs of eighth notes. Make it rock, swing, and groove! 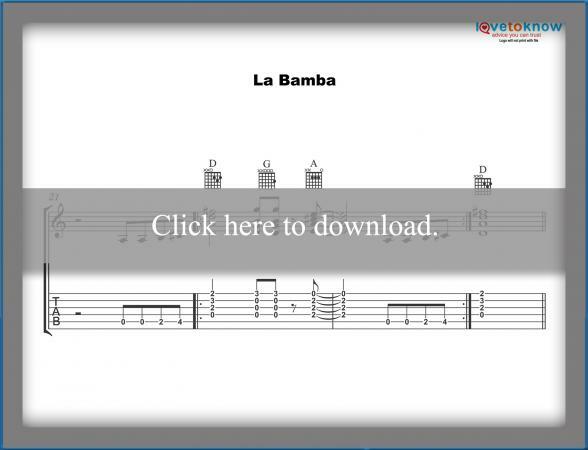 This party rock anthem actually started out as a simple Mexican folk tune. Rock pioneer Richie Valens plugged it in, cranked it up to eleven, and made it an early rock classic. This song includes a simple bass figure to go along with the strumming, and the chord pattern is identical to a song made famous by the Beatles, Twist And Shout. The movie version of Valens' life story is one of the truly great rock and roll biopics. Ed Sheeran and Amy Wadge's enormous hit is based on a terrific chord progression that will benefit guitarists of all levels. It's a step up in difficulty, but these mostly first position chords fit fairly easily under the fingers. The "slash" chord C/E is a device songwriters use to give an otherwise simplistic chord progression extra motion and a memorable bass line. The last two bars of the song, referred to as the turnaround, are simply a wonderful way to get back to the top of the song for repeats and as an ending. 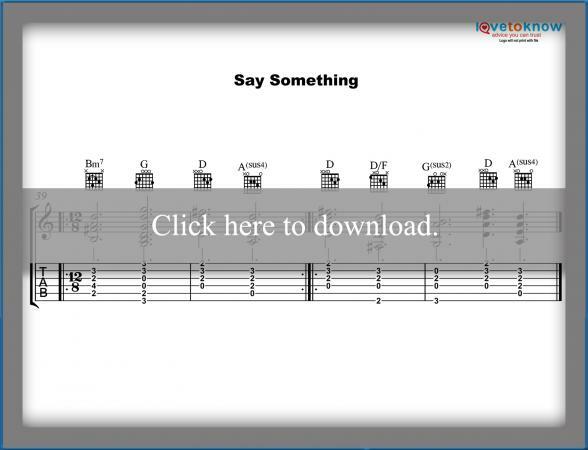 Say Something is a beautiful ballad in 12/8 time with a few more advanced chords. 12/8 is a really interesting time feel used in pop, jazz, blues, and rock that grooves hard yet subtly. This song features a barre chord, Bm7, and some suspended chords, A sus 4 and G sus 2, which are simply extension or colors that you can add to a major or minor chord. 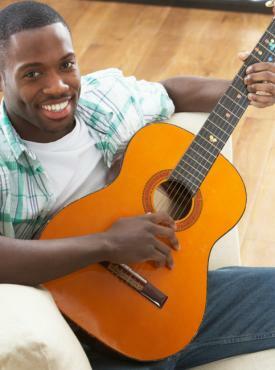 The songs you are learning here get progressively more challenging as they go so take your time and enjoy them. By the time you finish working on these, you will have learned a few important guitar techniques - slash chords, incorporating bass lines with chords, and some sophisticated sus chords. Retain this information and deposit it in your musical bank. Withdraw when needed.